Author of New York Times Bestseller, Lone Survivor, Marcus Luttrell is a retired Navy SEAL and Co-Founder of the Lone Survivor Foundation. 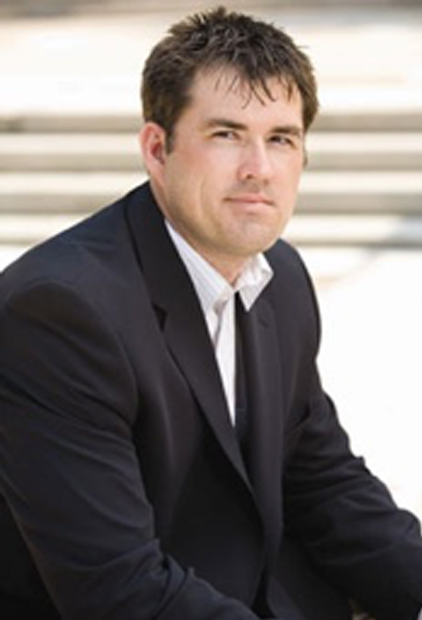 Marcus Luttrell is exclusively represented by the Greater Talent Network. Born and raised in Texas, Luttrell and his twin brother, Morgan, attended Sam Houston State University. They began training for the SEALs at age 14 with former United States Army soldier, Billy Shelton, who lived nearby. As kids, they loved to hunt and fish and wrestle alligators. On June 28, 2005, Luttrell and three other SEALs were assigned to Operation Red Wing, a mission to kill or capture Ahmad Shah (nom de guerre Mohammad Ismail), a high-ranking Taliban leader responsible for killings in eastern Afghanistan and the Hindu-Kush mountains. The SEAL team was made up of Luttrell, Michael P. Murphy, Danny Dietz and Matthew Axelson. A group of goat herders stumbled upon the SEALs, and the four SEALs immediately took control of the situation and discussed what to do with the herders. The herders were subsequently released and disappeared over the mountain ridge. Luttrell believed they immediately betrayed the team’s location to local Taliban forces and within an hour, the SEALs were engaged in an intense gun battle. In the ensuing battle, the rest of the SEAL team members were killed. An MH-47 Chinook helicopter was dispatched with a force consisting of SEALs and 160th Special Operations Aviation Regiment “Nightstalkers” to rescue the team, but the helicopter was shot down by an RPG. All 16 men on the Chinook were killed. Luttrell was the only survivor. Badly wounded, he managed to walk and crawl seven miles to evade capture. He was given shelter by an Afghan tribe, who alerted the Americans of his presence, and American forces finally rescued him six days after the gun battle. Following his physical recovery from Operation Redwing, Luttrell returned and completed one more tour before being medically retired. He wrote the book, Lone Survivor, to share the amazing story of his brothers who paid the ultimate sacrifice. In 2013, Lone Survivor became a major motion picture staring Marc Wahlberg. Luttrell’s second book, Service, answers questions remaining from Lone Survivor and gives honor and praise to other members of the military. Today, Luttrell is married to the woman of his dreams, Melanie. The couple has a son Axe, who is named after Matthew Axelson, and a daughter, Addie. In 2010, Luttrell established the Lone Survivor Foundation for veterans and their families. He is also deeply involved in the The Boot Campaign, a charitable organization that focuses on military personnel and the hardships resulting from their service.